Here we go with the second week of our Family Eco-Challenge. Last week made our first change…we added a compost garbage can to our bathroom (read below for our update). For week 2 we are going to stay in the bathroom and spend some time taking inventory. Here’s the thing, every day we wake up and make our way through the day applying and exposing our skin to various chemicals through the lotions, soaps, cosmetics, etc that we use. Our skin absorbs whatever we put on and over days, months and years we build up a cocktail of chemicals inside our bodies. 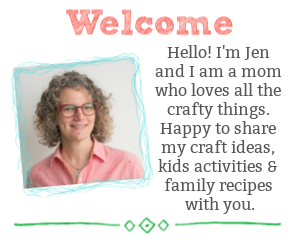 Okay, I’m not trying to be super scary, crazy lady here. I’m just interested in what the impact would be if we called attention to these unconscious actions we take everyday. 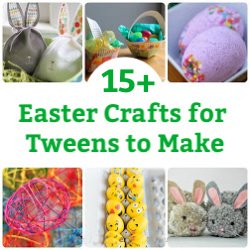 It’s time to take inventory. I’ve put together a simple chart where we can jot down every lotion, potion, cream, soap, etc that comes in contact with our skin in our day. 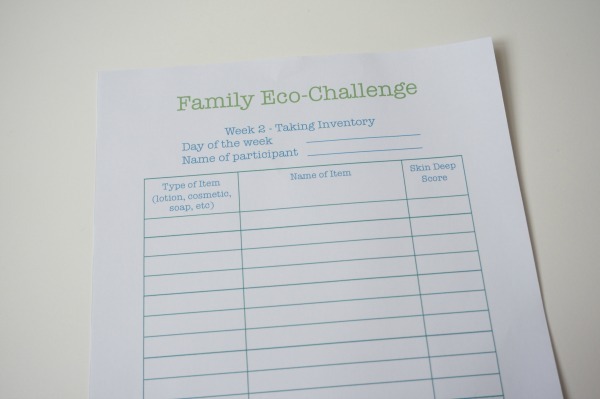 Click this link: family eco-challenge taking inventory to print your own copy of the chart. We will be keeping track of each member of our family’s exposure. We are going to track at least 3 days over the next 7 days….that way we will hopefully get a clear picture of an average day. Once the tracking is done, the fun begins. We will head over to the Environmental Working Group’s Skin Deep® Cosmetics Database…there is an easy to use app as well. It is super simple to type in the name of the products we use and Skin Deep® will bring us to a screen that provides the “hazard (concern) rating” for the product. Skin Deep® is a highly reputable inventory. If you would like to see how they come up with their ratings, you can read about their rating factors here. Once we have all of the ratings, we will add up the total number of low, moderate and high hazard items we have used. I’m sure that some items we use won’t be in the directory. We live in Canada and some Canadian products aren’t in the database. Another example, we won’t necessarily know the name of the soap we use when we are in public washrooms. We will either try and find a close equivalent, guess or simply keep them out of the total ratings. Why do this exercise? 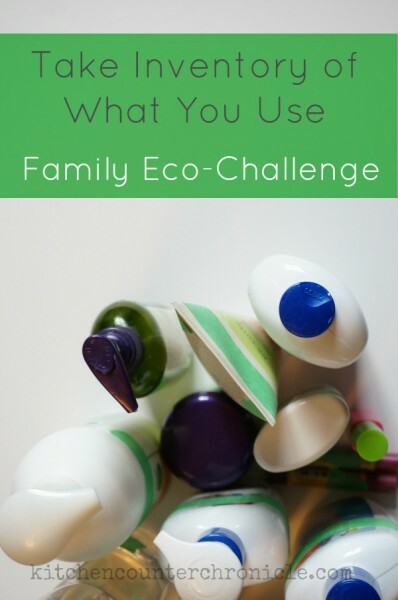 The Family Eco-Challenge is all about learning how our actions are impacting the environment and finding ways to live a healthier life. Looking at how hazardous the products we apply to our skin everyday really are will help us live a little more consciously. 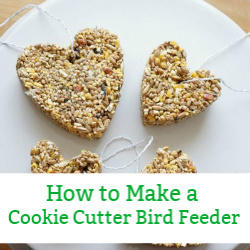 Once we are more aware of items we use, maybe we’ll make some changes…maybe we won’t. Either way, we will be more aware of what we are using on our bodies and on our children’s bodies. 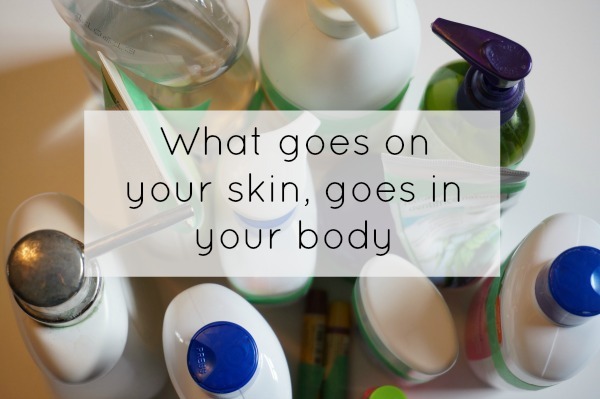 What goes on your skin, goes in your body…shouldn’t we be more aware of what we are putting in our bodies? Week 1 Update: We haven’t filled either the garbage, or the compost can yet. It would appear that the compost can is going to be the first one to fill up. This reassures me that we made the right decision..think of all the compostable waste that was going, unnecessarily, to the landfill.